Glorious Leader is a platformer where you control North Korean dictator Kim Jong Un has been hacked according to the game developers. The was first launched in May 2014 and was shifted to Kickstater last month in order to get some of the crowd funding for the completion of the game. 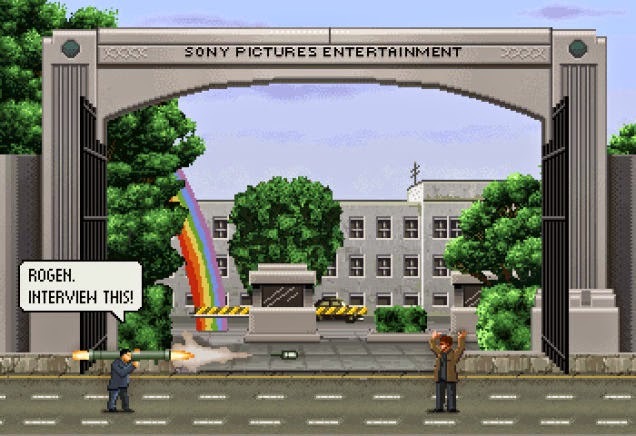 But now developer had withdrawn it from the Kickstater, as developer says that they had been a victim of the hacking which may be related to Sony hack. Developer says that hackers have destroyed the game, but not completely. The developers also claimed that this is not the first time they had suffered an attack due to this specific game. After the hack, hacked have managed to destroy data for Glorious Leader, and also lock the developers out of their computers. Moreover, hackers have also destroyed data of other projects that were under development by Moneyhorse Games. Hackers have change the permission of the developers and won't allow then to access to its own websites. Currently there is no evidence about the attack origins and its yet not clear whether they intend to stop trying to get funds or simply put an end to the game completely.